For the novel of the same name, see Tiberium Wars (novel). For mobile phone game of the same name, see Command & Conquer 3: Tiberium Wars Mobile. “ Go ahead my son, push the button. Command & Conquer 3: Tiberium Wars is a real-time strategy video game developed by Electronic Arts Los Angeles for the Windows, Mac OS X and Xbox 360 platforms, and was released internationally in March 2007. The direct sequel to the 1999 Command & Conquer: Tiberian Sun and its Firestorm expansion pack by Westwood Studios, Tiberium Wars returns the Command & Conquer series to its roots in the Tiberium story arc of the franchise, once again featuring the factions of the Global Defense Initiative and the Brotherhood of Nod, and also introducing a previously hinted extraterrestrial faction known as the Scrin. Tiberium Wars takes place in the year 2047, at the advent of and during the Third Tiberium War. The Brotherhood of Nod launches a worldwide offensive against the Global Defense Initiative, abruptly ending seventeen years of silence and crippling GDI forces everywhere. With the odds tipped in the Brotherhood's favour this time, GDI field commanders rally their troops and begin to combat Nod's second re-emergence, trying to restore lost hope. The game is the first Command & Conquer title since Tiberian Sun: Firestorm in which each of the singleplayer campaigns is canon, occurring simultaneously and forming one connected storyline. The game was expanded in February 2008 with Command & Conquer 3: Kane's Wrath expansion pack on the Windows and Xbox 360 platforms. A Mac OS X version was never developed. The development of Kane's Wrath was mostly done by BreakAway Games under supervision from EA Los Angeles. Tiberium Wars gameplay typically requires the player to construct a base and acquire resources, in order to fund the ongoing production of various types of forces with which to assault and conquer the opponent's base. All available structures of the faction chosen by the player are constructed on-site at so-called "construction yard" or "drone platform" buildings - which typically begin as large-sized vehicles or aircraft capable of deploying themselves into the aforementioned construction yards or drone platforms - or alternatively at the supporting "crane" and "foundry" structures. When a construction yard, drone platform, crane or foundry has finished building a new structure, the player can select a spot near to a pre-existing structure in order to place it, where the prefabricated building will then rapidly unfold in a distinctive manner. Tiberium, the game's sole resource (except for the optional "Tiberium Spikes" and occasional "money crates"), is acquired by specialized "harvester" units which bring their cargo to a "refinery" structure. This in turn will convert the Tiberium crystals into usable resources, expressed as credits. Tiberium itself requires storage space in the form of refineries and, in the case of excess when playing as the Global Defense Initiative or Brotherhood of Nod factions, "storage silo" structures. These stores of tiberium (and credits) can be stolen if a player captures the refinery or silo. All three factions have structures and units with similar functions at their disposal. However, they are adjusted to fit each faction's theme and have somewhat varying properties. Units can be classified into infantry, vehicles and aircraft, each with their own subdivisions (against infantry, vehicles, aircraft, structures and combinations thereof). Unit effectiveness against opponents follows the rock-paper-scissors principle found in most real-time strategy games. Virtually every type of structure in the game acts as a tech tree node, and additional units, structures and faction-specific abilities will become available as new structures are built and placed. Access to advanced units and abilities may be temporarily blocked if the required structures are destroyed, or if they are not being provided with adequate power by the supporting "power plant" structures. Selling a structure will count as it being lost in post-game statistics. Base defense is provided by specialized defensive towers. Later on in the game, the player can begin to build lethal defensive structures such as the Global Defense Initiative's "Sonic Emitters", the Scrin's "Storm Columns" or the iconic "Obelisk of Light" of the Brotherhood of Nod. The story driven single player mode of Command & Conquer 3 consists of 38 missions, spread over three campaigns. Each campaign depicts the view of its respective faction on the globalized "Third Tiberium War", with the portrayed story being furthered by full motion video cutscenes which play in between each of the individual campaign missions. Players can select to start with either the Global Defense Initiative or after the first part of the Global Defence Initiative Brotherhood of Nod campaign. However, both campaigns of the traditional two factions are required to be completed before the bonus 4 part campaign of the new third Scrin faction is unlocked and becomes playable. Each campaign mission features main objectives, the completion of which will instantly end the mission successfully. Several optional bonus objectives are additionally present, which can, when completed, make it easier for the main objectives to be completed. All campaign missions can separately be given a difficulty rating on the "theater" screen before they are started; the available difficulty settings range from "Easy" to "Normal" to "Hard". As the player progresses through one of the campaigns, new entries in the game's "Intelligence Database" become unlocked, providing the player with additional background information on the storyline, the factions, as well as their units and structures. Several of these database entries require the player to complete the bonus objectives of the various missions before they can be accessed. However, due to bugs in the game's code two entries cannot be collected without the use of a downloaded mod. All cutscenes which the player has unlocked by progressing through the campaigns are made available for viewing at any time within the game's "Transmission Log" menu. Unfortunately the GDI campaign is severely bugged - If and whenever the player chooses to launch the Liquid Tiberium Bomb, the player will earn the bad ending even if he reloads his last save or restarts the campaign. The skirmish mode in Tiberium Wars features numerous AI settings which each embody a type - or a combination of types - of classic RTS strategies, such as "turtler", "rusher" and "steamroller". These behavioral settings can additionally be given a difficulty rating ranging from "Easy" to "Medium" to "Hard" to "Brutal", along with "handicap" settings that can be applied to either the AI, the player, or both. Whenever a skirmish mission is successfully completed, a star is placed next to the map in the skirmish menu, showing that the player has successfully won the skirmish on a certain difficulty level. The Third Tiberium War ends. Nod takes control of the last tower and prepares for their great journey. GDI renders the Scrin inert by destroying their Relay Node, and the Scrin Foreman manages to escape, while the Overlord threatens full scale invasion. There are two series of endings for the GDI. In the first ending, the GDI commander activates a Liquid Tiberium bomb and kills millions. While the Commander is praised as a hero, General Granger resigns because he believes GDI has turned into the monsters it sought to fight against in the first place. However, if the Commander does not use the Liquid Tiberium Bomb, and Boyle resigns from presidentship, to avoid being arrested for war crimes because he gave you permission for the Liquid Tiberium bomb. Command and Conquer 3: Tiberium Wars supports multiplayer games over LAN, and online play over Gamespy servers. Players can participate in "1v1", "2v2", and clan-based "1v1" and "2v2" ladders - each using separate Elo rating systems - or they can elect to play unranked. In addition to the official ladders, a number of independent ladders have been set up, the most prominent of which currently is "clanwars.cc". Broadband-based multiplayer features VoIP support. Electronic Arts is making an attempt through Command & Conquer 3: Tiberium Wars to market "RTS as a sport", through a project entitled "BattleCast". A service centred on the game's official website, "BattleCast" is designed to allow for players to schedule upcoming games with others, to spectate in games that are currently being played, and to serve as a centralised replay archive of previously played matches. "BattleCast" additionally allows for players to function as commentators in a game, providing a running description of the match as it unfolds. Commentators can talk to other observers of a game through "BattleCast", and use a Paint-style brush to draw onto the screen. A free "BattleCast Viewer" was available for download from the official C&C website. This viewer allowed people who did not own the game to watch multiplayer matches. It was last updated for the 1.09 patch, and was never adapted to the Kane's Wrath expansion. A sequel to Command & Conquer: Tiberian Sun had been expected since the game's release in 1999. 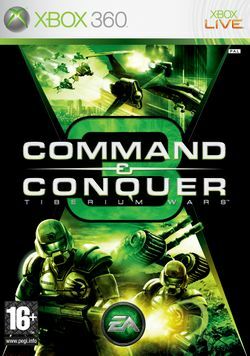 Work on such a sequel was believed to have been started at Westwood Studios by 2001, however Electronic Arts decided to shift the focus of the would-be successor to Tiberian Sun from a science fiction theme to a modern theme based on contemporary real-world conflicts, the result being Command & Conquer: Generals, developed by Westwood Pacific. Developers still retained the Command & Conquer 3 idea (tentatively named 'Incursion'), intending it to be an update of the original C&C game in terms of gameplay and setting. Just prior to the release of Generals, however, EA announced that Westwood Studios (Las Vegas) would be closing and would be consolidated into EA Los Angeles along with EA Pacific. This merger split the original Westwood team, with some of its members not being willing to relocate and quitting to form the company Petroglyph Games, with the remainder moving to Los Angeles to work at the newly consolidated studio. With this, the development of Command & Conquer 3 was effectively put on hold. In 2004, old concept art from Westwood Studios was made public under the name Command & Conquer 3. The artwork showed a "mech" unit, a full 3D RTS gameplay environment similar to that used in the title Generals, and the original interface system from both the original Command & Conquer game and its sequel of Tiberian Sun. The unveiling of this artwork fueled speculation that Electronic Arts had begun work on a Command & Conquer game. In December 2004, after the EALA team settled down, then executive producer and Command & Conquer lead Mark Skaggs announced in a mass e-mail that this next Command & Conquer game would be Command & Conquer: Red Alert 3, and not the awaited sequel to Tiberian Sun. The status of the Red Alert 3 project remained unknown, as the RTS team within EALA focused on the Battle for Middle-earth series, releasing two games and an expansion pack for the second. Eventually, Skaggs left the company after Electronic Arts offered him only 9 months to work on Red Alert 3. Mike Verdu later became the new lead on the Command & Conquer series. On 18 April 2006, Command & Conquer 3: Tiberium Wars was prematurely announced. On April 20, the official press release was made, and Electronic Arts Los Angeles would begin to host several fan summits for previews, feedback and discussions on the new title. Eventually, several concepts from Incursion would make it to the finished version of Tiberium Wars, such as the GDI and Nod power plants, sniper team and civilian automobiles. Tiberium Wars was released in three separate editions: the pre-order edition, the standard edition (box art featured at the article header) and the limited Kane Edition, which constitutes a special collector's edition with various extras and a bonus DVD featuring exclusive content. 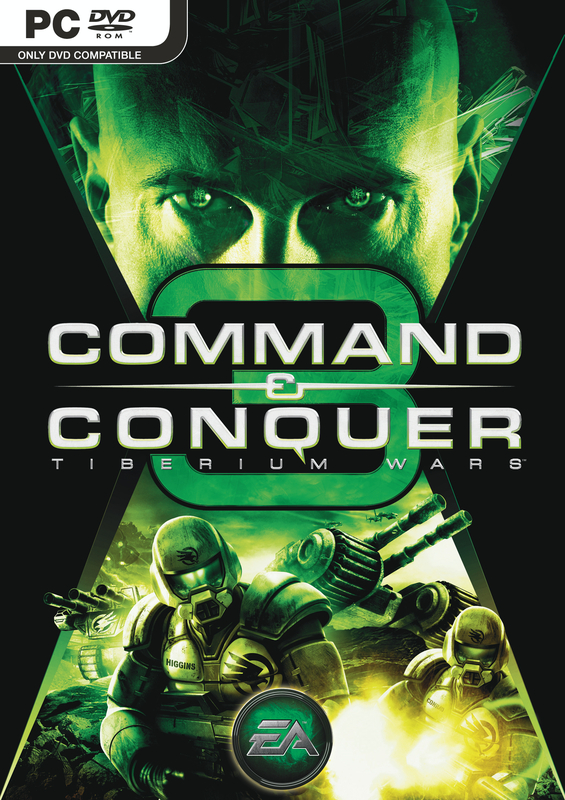 Tiberium Wars was given a suggested retail price of US$49.99, while the C&C 3: Kane Edition was available at "select retailers" with a suggested retail price of US$59.99. Availability of this edition has been restricted to 100,000 copies worldwide. 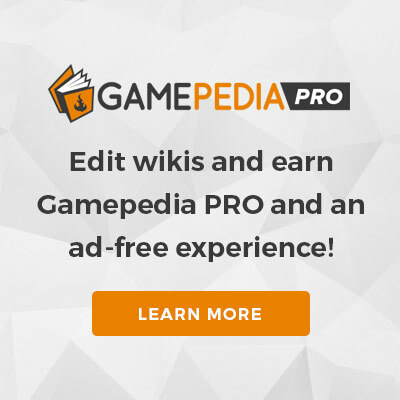 It is also sold in the Command & Conquer: Saga bundle pack, along with Command & Conquer: The First Decade, as well as Command & Conquer 3: Deluxe Edition, bundled with the Kane's Wrath expansion. A novel tie-in of the same name was released, being a side story to the game. This page was last edited on 24 January 2019, at 20:04.